Rocketnews reports that a 67-year-old Singaporean man died of a heart attack after finally catching a rare Pokémon that he’d been after for a long time: Lapras. 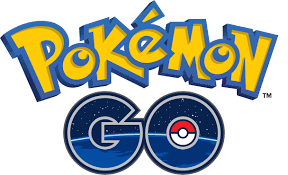 When Pokemon Go first launched, there were numerous reports of injuries (and even rare deaths) of players wrapped up in the game, so unaware of their surroundings, that they walked right into traffic, off cliffs or possibly onto Clint Eastwood’s lawn! It even got to the point that the Japanese government created a safety campaign for Pokemon Go players. This latest incident does not involve poor situational awareness but is still sad and tragic. Liang Weiming was playing Pokémon GO at the Marina Bay Sands high-rise resort hotel in Singapore on February 26 when the people he was with say he caught a Lapras and then suffered a heart attack. Witnesses say it happened immediately after he realized he caught the Lapras. His wife says that her husband suffered from heart disease, and that he had been a fan of Pokémon GO since the day of its release. He had caught over 200 different species and made it to level 28 in the game. The fact that she even knows how many species and what level he was shows how often they must have spoken about Pokemon Go and that, when it comes to gaming, age is just another number. It is important to note that Pokemon Go has gotten kids healthier as well by getting them to go outside and exercise. But parents: make sure you are teaching your kids about situational awareness at all times. Sidenote: My wife plays Clash of Clans a lot and I have no idea what her stats are or even her clan name. Does that make me a poor spouse?